As an admin, you can search, view, edit, and remove your account's shared resources. Click the Managed Resources tab. 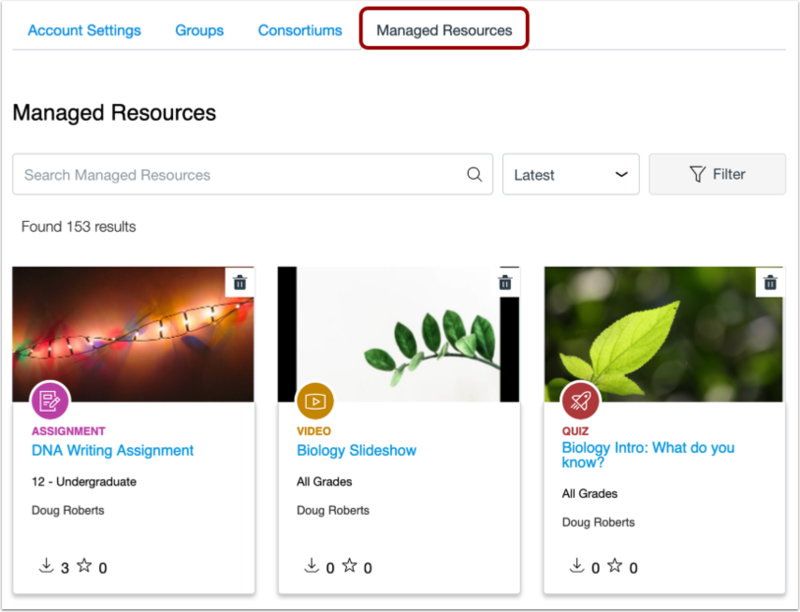 The Managed Resources page allows you to search for, view, and edit or remove resources shared by your institution that are not private to the author. 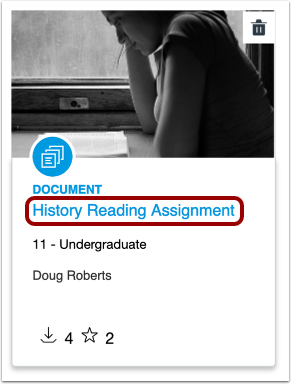 In the search field, you can search your account's shared resources by entering keywords such as author or title . You can also sort by Most Relevant, Latest, Most Favorited, or Most Downloaded . To view and apply search filters, click the Filter button . You can filter search results when managing resources. Search filters have several options, including filtering by approved content , resource type , grade/level , and sharing settings . To remove a resource from Commons, click the Delete icon. You will be asked to confirm deletion of the resource. To confirm and delete the resource, click Delete . You will be unable to recover the resource once it is removed from Commons. The author will no longer see the removed resource on their Shared page. 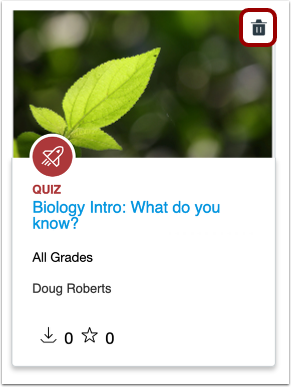 To view more details about a resource, click the resource tile. 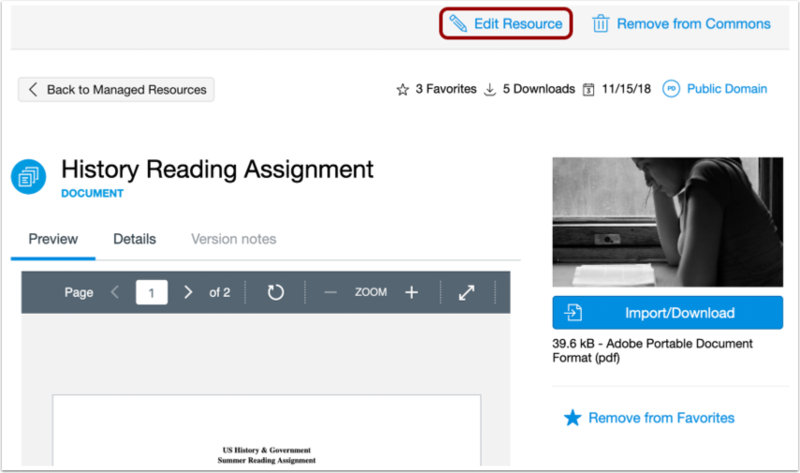 To edit resource details, click the Edit Resource button. Note: Admins cannot edit or update resource content. You can also remove a resource from the resource details page. To remove the resource, click the Remove from Commons button. Previous Topic:How do I edit my account settings in Commons? Next Topic:How do I manage Consortiums in Commons? Table of Contents > Admin Users > How do I manage shared resources for my account in Commons?